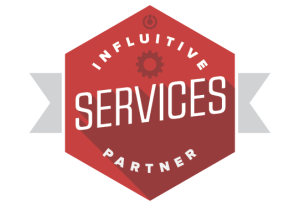 Influitive’s Certified Services Partners have multiple consultants who have completed Influitive’s partner certification program. They have each completed online training, classroom training, field training, and passed a final oral exam to gain and prove their skills. They are very well prepared to help you plan and manage your advocate marketing program. A team of mavens that helps you discover, nurture, and engage brand advocates. Plus all the strategy, design, copywriting, and media production you need to create captivating advocacy content in more than 30 languages. Compass Customer Experience is a boutique agency uniquely positioned to provide strategic guidance and hands-on support at every stage of your organization’s customer engagement journey. Desouza & Associates, Inc. (D+A for short) is a diverse and talented team of subject matter experts and developers working together to help B2B companies improve their revenue performance by marrying technology innovations with marketing opportunities. Just Drive Media offers PR, social media and customer advocacy services, uniquely tailored to each client’s needs. We’ll help you identify, engage and motivate your most influential advocates to share their brand passion and authentic recommendations – taking a holistic approach to integrating your advocacy efforts with the rest of your digital marketing initiatives. Referential has over two decades of experience in delivering high-impact advocacy-related services to a broad range of clients. From specialized services such as planning, launching and running Influitive AvocateHubs; to architecting, operating and staffing full advocacy programs – Referential has the expertise to help you succeed. Sprat is a London based Advocacy Marketing Agency specialising in content creation. We can setup and manage your Advocacy Hub and populate it with original content to engage and delight your customers and encourage acts of advocacy. We’re a boutique consultancy dedicated to helping leaders engage, retain and grow their customers. We do this from strategy to execution; through a combination of great technology (like Influitive) and people. If you invest in your customers and want them to invest in you, let’s connect. Influitive’s Services Partners have direct experience with proven AdvocateHub based Advocate Marketing programs. Fully backed by Influitive’s Support Magicians and Advocacy Coaches, these experienced marketers are able to leverage the AdvocateHub platform to help you successfully plan and execute your customer marketing initiatives. Bulldog is a full-service marketing agency exclusively focused on complex B2B. That means deep experience in leading strategic insights, planning and execution of highly technical and creative marketing programs. We are best known for balancing tech-savvy and creative to produce results. At Couch & Associates we build resilient brands. Our agile framework enables companies to adapt to the constantly changing marketing landscape. Customer Success, LLC, works with Solution and Services Providers to develop a clearly defined Customer Success strategy that increases retention and share-of-wallet by aligning customer advocacy to every aspect of the buyer’s journey. Iron Horse Interactive is a demand generation company for the modern enterprise. We blend rich technology and multi-channel marketing expertise with proprietary tools and demand generation domain expertise to deliver results. We can help you create customer advocate strategies that align with your marketing priorities and take your organization to the next level with your AdvocateHub. The Starr Conspiracy is proud to apply and integrate more than a decade of strategic marketing and technology services with your advocate marketing program – aligning strategy, managed services and best-in-class marketing creative. Fanatics Media is a Digital Marketing and Influencer engagement agency that blends influential people and the media with social campaigns to create high awareness and leads for our customers. At Relationship One, we empower organizations to modernize their marketing through strategy, technology and data. Our Influitive consultants have a well-respected track record for helping organizations develop, deliver, manage and improve their customer advocacy programs using the Influitive platform. Your success is our mission. Tegrita is a consultant owned organization with a vested interest in your long-term success. Our background in Computer Science, Engineering, Business and Fine Arts, combined with our marketing automation expertise, offer us a unique opportunity to support clients across a full spectrum of industries. The Crocodile is an independent B2B marketing agency that helps leading UK and international brands build stronger, more connected, long-term conversations with their prospects and customers. Koyne provides advocate strategy, integration, training and operations services to B2B clients who need to deliver clear customer marketing ROI. Whether you seek to outsource isolated customer reference management tasks, specific processes or an entire reference program. Engaging MRM allows our clients to adopt best practices, introduce industry standards and leverage expert resources. Influitive’s Sales Partners are proven marketers offering services or solutions that are related to Advocate Marketing. With broad expertise in customer marketing strategy and tactics, including running programs such as customer advisory boards, NPS surveys, and content marketing campaigns, these partners are often the first to recognize a great opportunity to launch an advocate marketing program. Heinz Marketing combines both strategic and tactical expertise. Our clients often view us as an extension of their sales and marketing teams and draw on us for everything from high-level planning and detailed execution. We work with marketing organizations who are committed to transforming their ability to contribute to revenue. We will help you develop customer advocate strategies and content, and manage your AdvocateHub. Our heritage is on the client-side, so we understand the need for quick wins and a long-term strategy. DemandGen is the trusted advisor to the world’s leading sales and marketing teams, combining superior customer service, highly effective demand generation processes, and technology expertise. Brand Sensations supports lifestyle and interior design companies with premium brands in the optimization of the B2B and / or B2C communications. The strategic implementation we use enhances the benefits of inbound marketing. ChannelSmart assists companies in building &amp; managing a sustainable and effective international go-to-market while reducing time-to-market. Our services include consultancy, outsourced professional services and technology – combining knowhow and execution. Macromator transforms marketing organizations through demand generation strategy, marketing technologies and process optimization. We help companies get the most out of their investment into marketing and advocacy softwares. ITilliant is a full service customer contact centre providing companies with scalable outsourced customer service and technical support solutions for complete customer relationship management. Catchy is the leading global agency aimed exclusively at engaging developer communities. We sit firmly where marketing meets technology, and provide end to end solutions including strategy, content, campaign outreach, and managed outsource. HMG is a digital-centric marketing agency focused on measurable results. We merge digital strategies and technologies to inspire people to interact with businesses and brands. Waypoint Group was founded on the principle that loyal customers generate more sales opportunities. Through hands-on, analytics based tools, Waypoint Group identifies, prioritizes and delivers actionable customer insights that link to financial growth. Ignite Advisory Group specializes in fostering executive engagement through high-impact Customer Advisory Boards and Partner Advisory Boards.